I hit an inspiration wall after finishing Slimer. But while looking for new subject matter, I stumbled upon a wonderful photo of Roger standing on a car next to Bob Hoskins as Eddie in a promo photo for Who Framed Roger Rabbit, a classic 80s film. 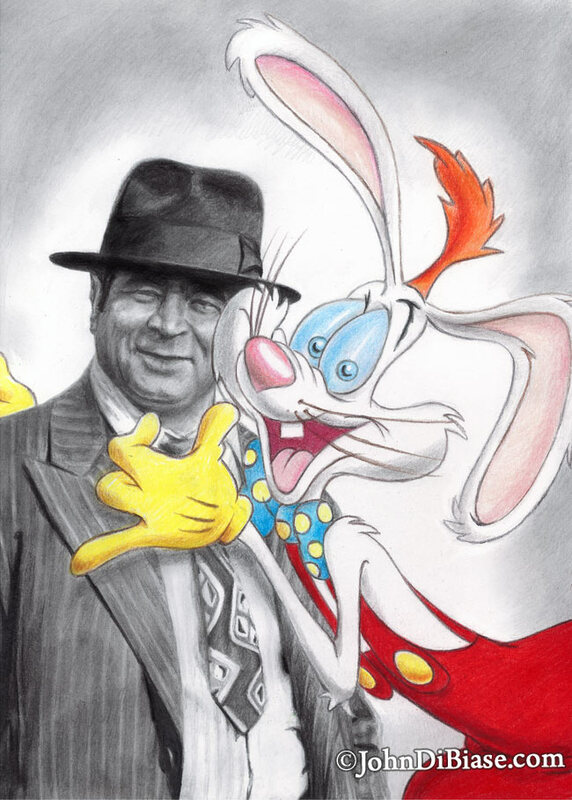 I thought it would be perfect for a black and white / color mash-up while being a nod, too, to the late Bob Hoskins.